Is there anything better than playing a board game with your children that you enjoyed as a kid? I love mixing my childhood memories with memories of my children and sharing with them activities that made me smile as a child. Today, I thought it would be fun to share some of those games with you. Then, I’d love to hear what you would add to this conglomeration! So, without further ado, here is a list of classic games will make you feel like a kid again! 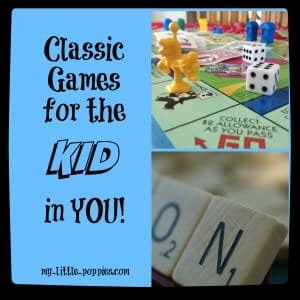 Classic Games for the Kid in You! 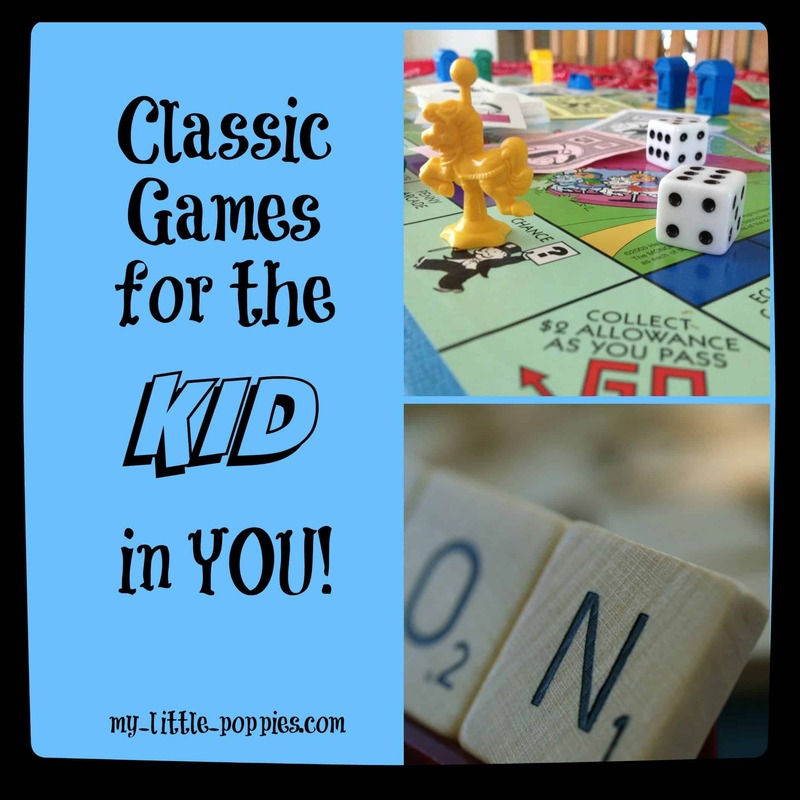 Relive a bit of your childhood by playing these classic games with your kids! “You sunk my BATTLESHIP!” is a childhood phrase that makes me smile. I can remember playing this game on the floor of my brothers’ room, or at my cousins’ house on holidays. Nowadays, my children and I play the well-loved Battleship of my childhood. BONUS: In addition to teaching young children how grids work, Battleship will teach your children strategy and critical thinking! Battleship is also a fantastic way to increase understanding of map skills! Did you just groan over there? I know, I know… this game is oft-requested and can take forever, but I want you to hear me out: Candyland made me fall in love with board games. I wish I still had my 80s version because I miss the illustrations! This was the first game we owned and I drove my mother crazy by asking her to play it over and over and over again, just as my kids drive me crazy with their Candyland requests but children love Candyland. Candyland is just a stepping stone. Teach them to play Candyland and, before you know it, you’ll be enjoying your favorite game together. BONUS: Candyland is the gateway game of little gamers. It teaches children to love board games. In addition, children learn early turn taking, color recognition, and counting. 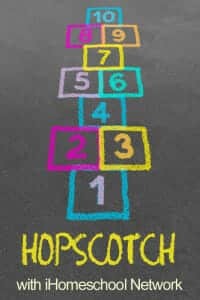 I used to play this game on my neighbor’s porch when her granddaughters came to visit. Like Candyland, I long for the 80s illustrations, but my children adore this game just as much as I did as a child. BONUS: Chutes and Ladders teaches early math skills including counting, addition, and subtraction. It is also provides practice handling frustration, as landing on one of those slides, especially the super long one, can be painful! I have such fond memories of playing this game with a childhood friend and her family. Clue can be as straightforward or as complicated as you’d like to make it. It’s a wonderful memory-making game of mystery and suspense. BONUS: Clue is a fantastic way to teach your children logic and deductive reasoning skills! Is there anyone who didn’t love Connect 4 as a child? 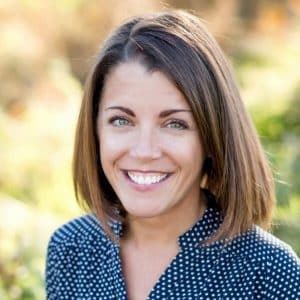 I can remember a particular elementary school teacher who would reward the class now and again with a Connect 4 tournament- with brackets and everything! My children love this game. BONUS: In addition to having a blast, Connect 4 teaches children early math skills and requires them to think ahead and plan their moves. If you love Connect 4 but you’re looking for a fun new twist, check out ThinkFun’s Stratos Spheres. It is a 3-dimensional four in a row game and it travels easily! Here’s another game I’d play with my neighbor! I loved that teeny-tiny little car with its peg people family. My children love playing this game and our game-inspired conversations never fail to teach something and make Schizz and I giggle. BONUS: Life is a fantastic way to talk about life choices such as finances, education, career, and family matters. I loved playing this game with my family as a child. Jenga can be so suspenseful and when that tower finally crashes there are always giggles! This is one of those games that we always play with our children while on vacation. I’m not sure why, exactly, but it’s become a vacation tradition and I know we are making memories! Memory is one of those early classic games that your kids will love. I love it because the illustrations are bright and engaging, and the cards themselves are thick and durable. I remember playing this as a child and have enjoyed playing it countless times with my children. BONUS: Memory teaches matching, attention, turn taking, and visual memory skills. If there is a quintessential childhood game, it would have to be Monopoly. I can remember playing this game with my aunt and cousins, and I can remember heated arguments between my brothers and I. And, who doesn’t adore those little playing pieces?? I have played Monopoly with my children and, for some reason, it always causes arguments over here. I keep trying, though! BONUS: Monopoly is a great way to practice math skills while teaching children about the importance of saving, investing, and properly managing finances. Operation is so fun and so stressful, am I right? I loved playing this with my older cousins. Nowadays, my children love to play this game together. It is one of those games that they always agree on and the bonus is that they are able to play independently. BONUS: Operation is a great way to practice concentration and fine motor skills. Every summer during middle school and high school, I would play this game with my friend and her family. I equate Parcheesi with sandy feet and salt air. Now, we love to play this game as a family on lazy weekend afternoons. BONUS: Parcheesi teaches those early math skills, in addition to strategy. Pictionary makes me think of Christmas at my Aunt’s house, playing the game with my cousins and laughing all the while. This game never fails to get the whole family laughing! It is one of our favorites. BONUS: Pictionary isn’t just funny! It teaches vocabulary, creative thinking, communication, and fine motor skills. Scrabble is my favorite game of all time. My Aunt loved this game as much as I did and so the two of us would play almost every time we were together. It was a tradition to end Thanksgiving with a game of Scrabble. When my kids are old enough, I hope to carry on this tradition. I also have tons of memories of playing this game with friends. BONUS: Scrabble reinforces those vocabulary, spelling, strategy, and math skills. Is it wrong to lump these two classic games together? I love these games equally but I think they are quite similar. We owned both growing up and I can remember playing at the kitchen table. I can remember my mom and I giggling at the fits my brother would throw when he had to move back to start. Can’t you just hear the Trouble bubble popping away? BONUS: Sorry and Trouble teach turn taking, math skills, planning, and they allow you to practice the art of handling frustration and losing gracefully! Twister is hysterical!! This is such a hilarious classic game. I can remember playing this at countless birthday parties over the years. My college roommates and I had a game and I have so many hysterical memories. BONUS: Twister teaches children to learn the difference between left and right, in addition to reinforcing gross motor skills and planning. I can remember playing this game on the beach during vacations, at friends’ houses, and with students when I was working as a school psychologist. Children and adults love to play this game. My children have recently become obsessed with it and I see years of Uno memories in our future! BONUS: Uno teaches color and number recognition and helps children to think quickly. Now it is your turn. Tell me: What are your favorite classic games? What would you add to this list? Do you enjoy playing classic games from your childhood with your children? Share here! It took me all day to remember the name of it… Kerplunk! Oh my gosh! I forgot about that one! We’re all about Yahtzee and Phase 10 in our house!